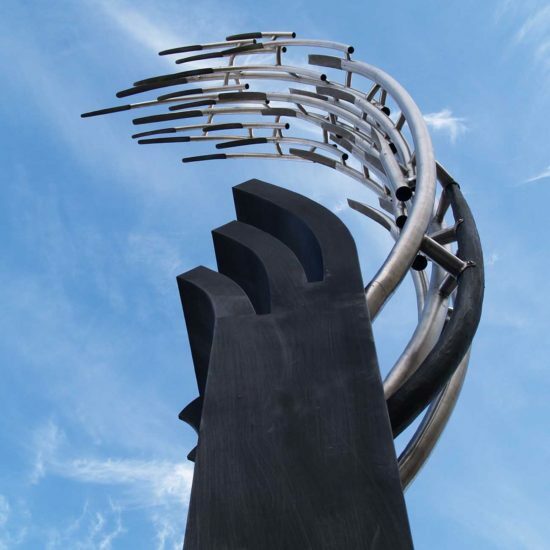 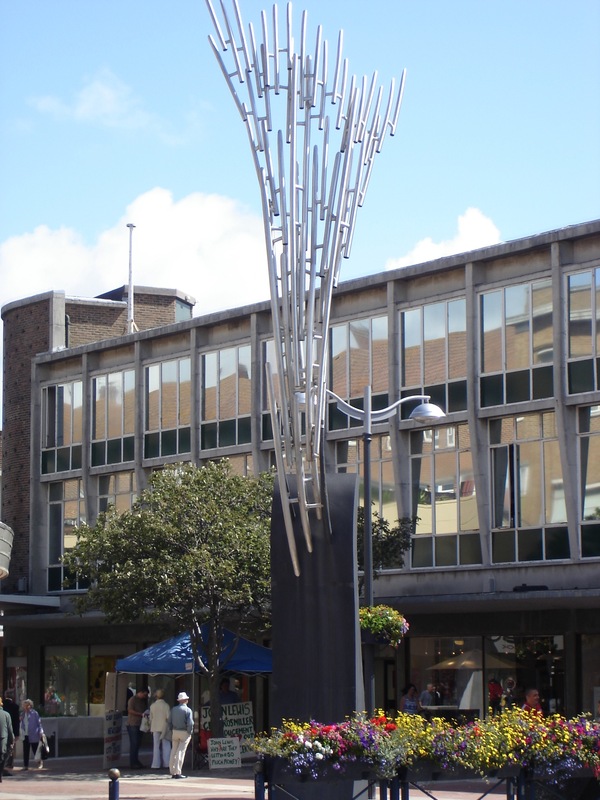 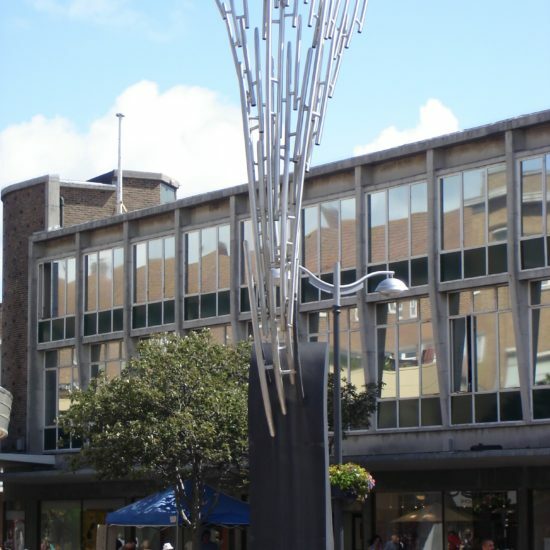 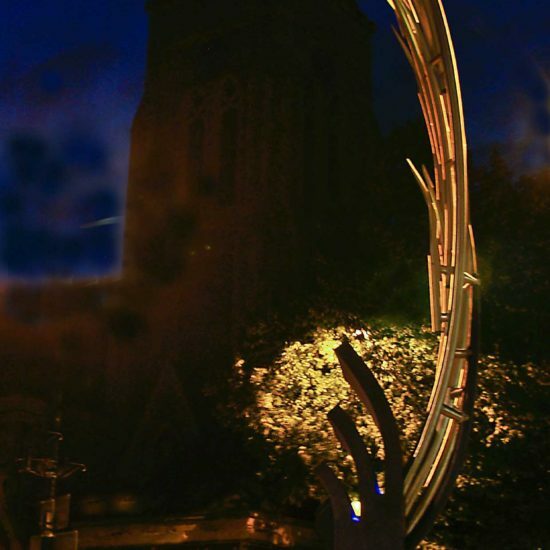 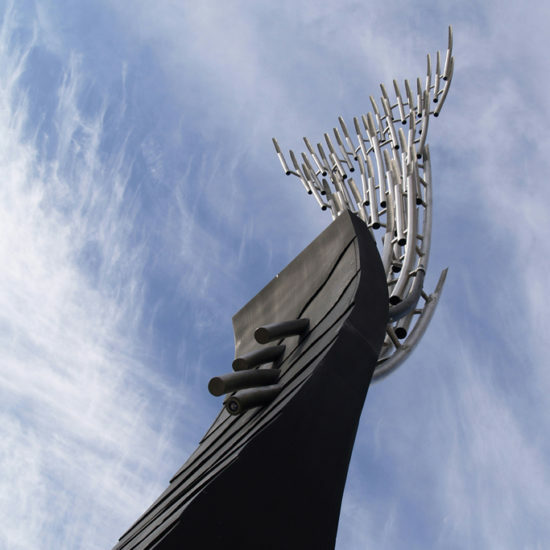 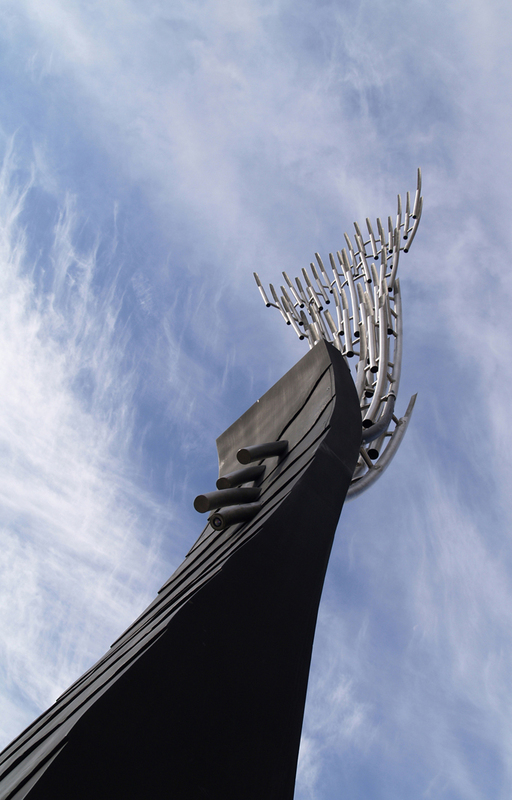 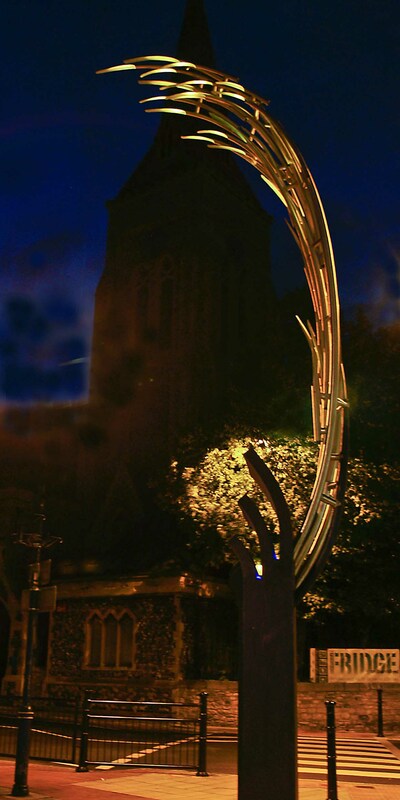 The theme ‘Contemporary Seaside’ motivated the designs for these two large public art sculptures commissioned by Portsmouth City Council for either end of the pedestrian precinct. 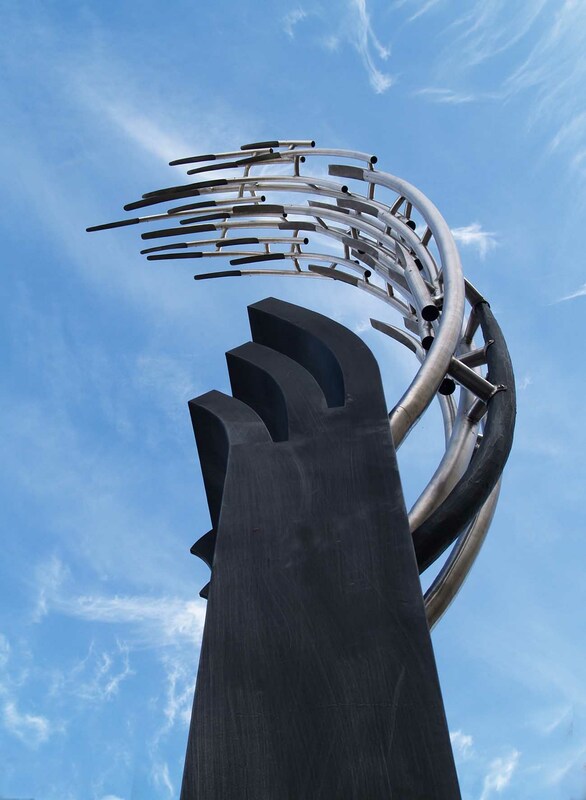 Charles captured the movement of rippling, curving waves and spume. 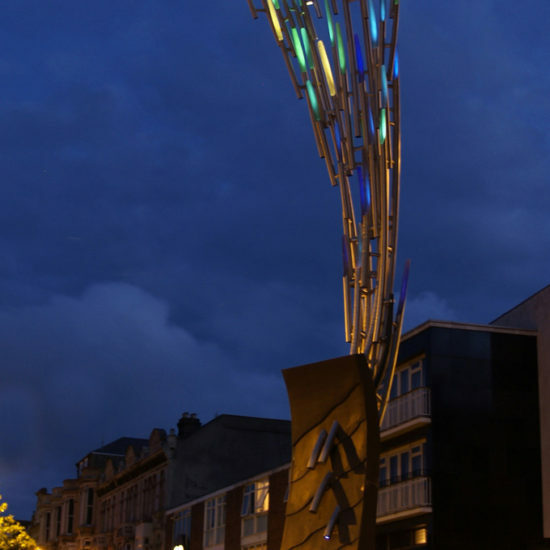 The changes in colour affected by moonlight and natural daylight and the strength and power of the sea. 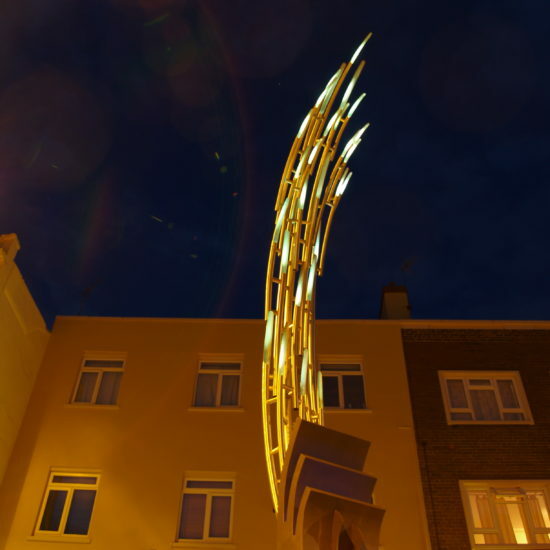 Standing at seven and ten metres in height, tall mild steel ripple bases support reflective stainless steel curving quills suggesting spray. 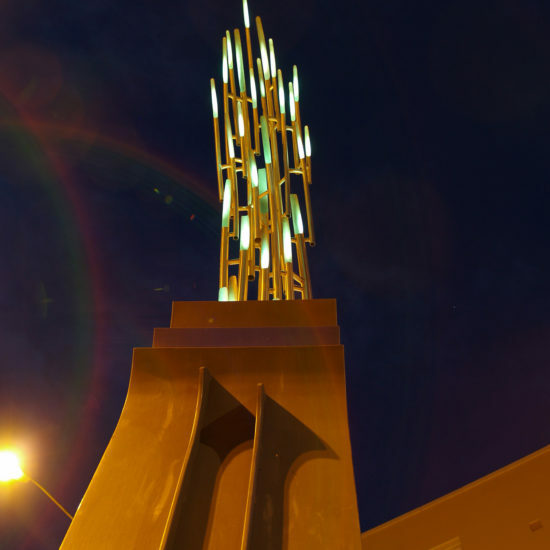 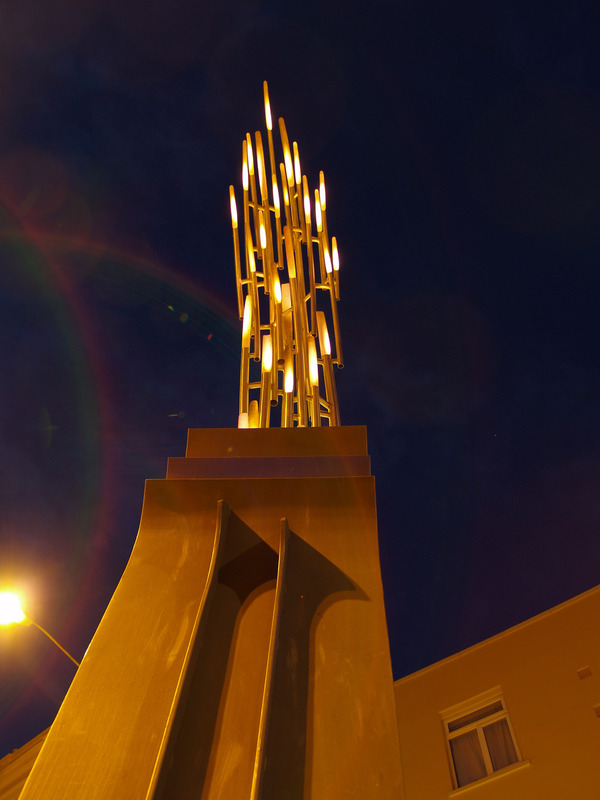 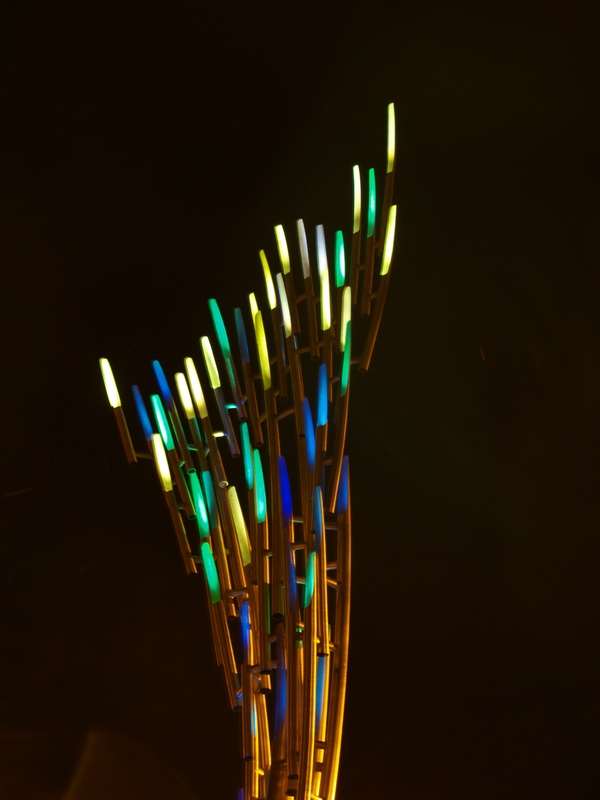 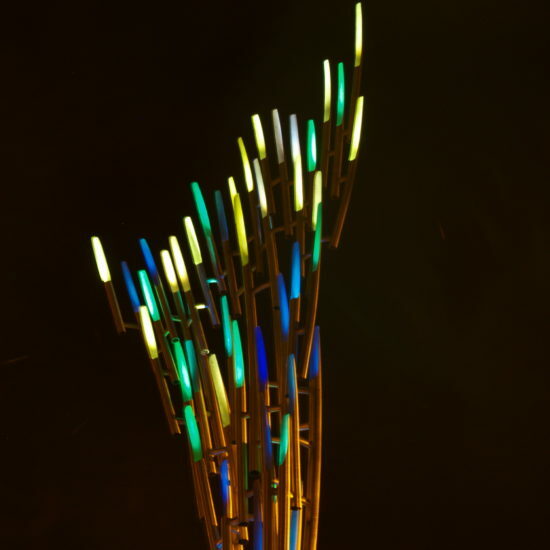 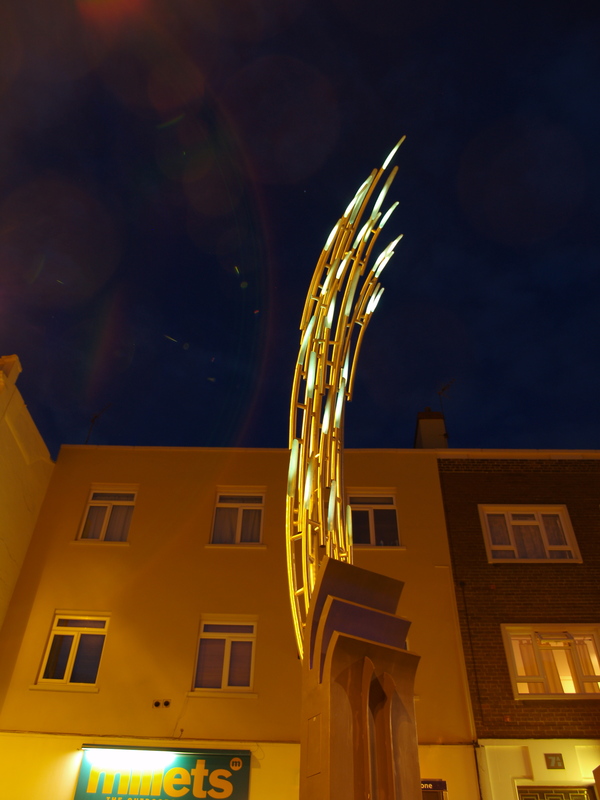 A fibre optic lens placed within each quill changes colour in a choreographed rolling format to imitate wave movement illuminating the artworks and bringing an aesthetic to the shopping area at night.